Hi. For some reason when I am trying to set up a new form from scratch, the system seems to lock-up. It just seems to sit and do nothing. I have to hit "cancel". 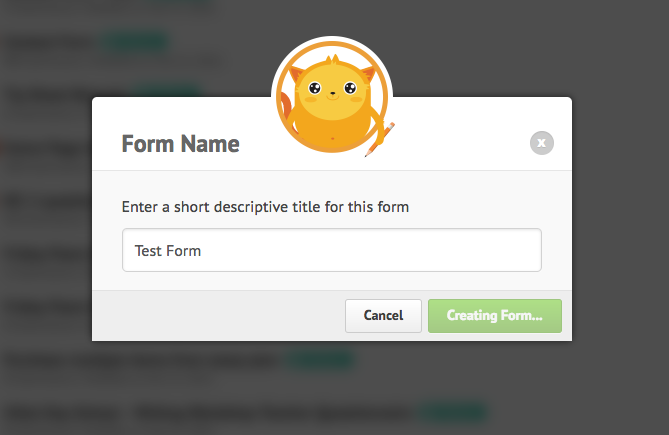 When I ask to set up a form from a template, it works fine. Your help is appreciated. Thanks. Try logging out of your JotForm account then log back in. If that won't suffice, clearing your browser's cache and cookies might help.